If you’ve landed here, chances are you’ve been diagnosed with fibromyalgia or another form of chronic pain. It’s also likely that sleep is hard to come by. That’s because fibromyalgia and insomnia go hand and hand. In fact, for a lot of people, the only thing worse than chronic pain is lack of sleep. That’s why many people with fibromyalgia look for sleep solutions. One of the more natural solutions is melatonin supplement. This naturally occurring hormone helps to regulate the sleep cycle. Low levels of melatonin are associated with chronic insomnia. So it makes a certain amount of sense to add back what’s lacking. Or does it? Is there also a downside to taking melatonin supplements? 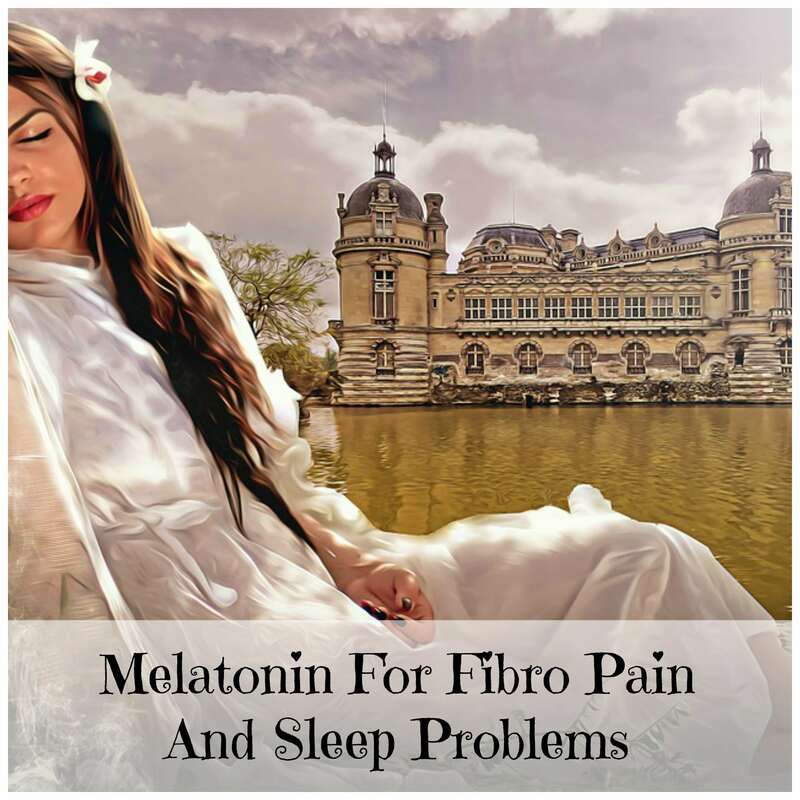 Is Melatonin Good for Fibromyalgia? Compared to prescription sleeping pills, melatonin appears to be much safer. That’s because sleeping pills can become addicting. However, there’s some concern about taking melatonin over the long term. There’s another problem too. Many of the supplements sold in drugstores and natural health stores contain are many times more stronger than a dose that’s been recommended by a group of researchers associated with MIT. More MIT research also found that melatonin stops working after a few days. That’s exactly what I found too. I experienced this first hand. But everything I just wrote above should be viewed in light of another study. This was published in the year 2000, in the journal of Clinical Rheumatology. It found that melatonin did help relieve pain and led to better sleep. However, this was not a controlled study, with another group of patients given a placebo. However, It’s also important to note that the dose of melatonin used in this study was 3 mg., taken at bedtime. This is far lower than the 10 mg. found in many of the OTC brands of melatonin supplements. It’s possible my own mediocre experience with melatonin came from the fact I was taking too high of a dose. Plus, I’m very sensitive to all types of remedies. So I’d probably have to take even less than 3 mg. a day, if I tried it again. If I tried it again, I’d see it as a temporary one or two-night solution. As always, when trying a new dietary supplement, it’s a good idea to run it by your doctor. This becomes a necessity if you’re taking any type of drug. Instead, of a quick fix, she has a number of suggestions for better sleep hygiene. These include various homeopathic remedies and avoiding being on your computer several hours before going to bed. If this isn’t possible, she recommends using a special type of glasses. These are blue-light blocking glasses, which you can order online. Personally, I can only “kinda sorta” recommend melatonin as a sleep aid. I may use it again myself, on a limited basis, if I feel the need. However, I’ve had much better success with essential oils. Nearly every essential oil company now has special sleep and relaxation blends. The one I’m using now is Plant Therapy Sleep Aid and it works great. (It’s not my favorite smelling oil, but it does work for me.) I don’t use Sleep Aid every night, because I get better results from rotating my oils. But it does help me unwind. I highly recommend the Plant Therapy brand overall. Here’s some good news. My chronic pain is not nearly as bad as it used to be. Plus, I’m sleeping better. That’s due to the fact I’ve made some drastic lifestyle changes, and have found natural remedies that work for me. As my body started to heal, my sleep greatly improved. Getting better took years. It took a lot of work. And it required a lot of natural remedies. But I have my life back again, and live with much less pain than before. Below, you can see the online course I created that explains what I did to regain my health. It’s not meant as medical advice. Instead, it’s meant to inspire you to find your own unique way to heal yourself. Click on the image below for more information.